Each camp includes four days (Monday - Thursday) of 2 1/2 hour (8:30AM - 11:00AM) sessions of instruction. 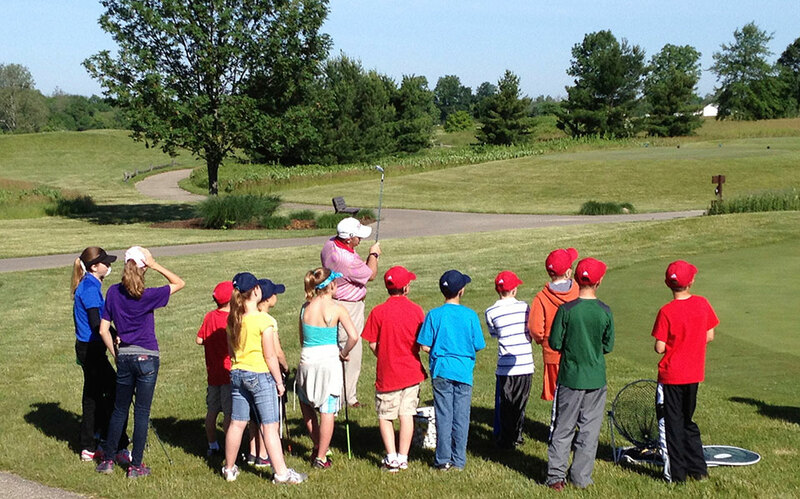 Camps are limited to 15 junior golfers (ages 8-16). Instruction will cover golf basics, rules & etiquette with emphasis on enjoyment of the game. or email [email protected] to register. UCJGAT was created to promote junior golf in Union County by providing a fun competitive enviroment that offers boys and girls an opportunity to compete in tournament play and improve their skills. UCJGAT is seperated into three divisions: The Premier Division is for boys and girls 7-9 years with the focus on learning general swing mechanics, short game fundamentals, golf etiquette and an introduction to general play. The Academy Divison and Tour Division are for boys and girls 10-17 years old and focuses on continued swing development with more emphasis on competitive play. Click Here to download a brochure and registration form.